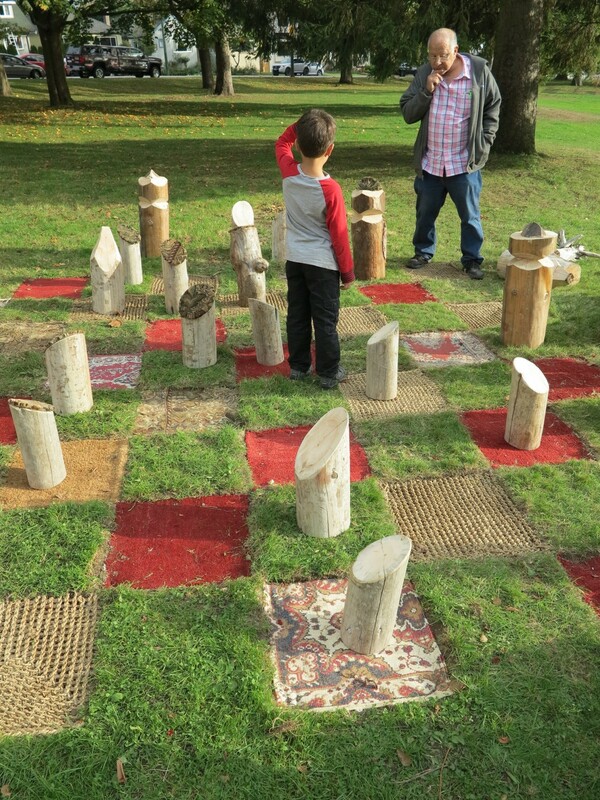 An interactive chess set in Memorial West Park (Vancouver BC), measuring 12’×12′ feet, made from pieces of grass mats and wool rugs inserted into the lawn. The chess pieces are constructed from locally gathered wood, made with the help of community members. Supported by Vancouver Board of Parks and Recreation and the Dunbar Community Centre Association. Made during an artist residency at the Dunbar Community Centre.